If you suspect your drinking water is causing an adverse physical reaction, please contact your General Practitioner, or in the case of an emergency contact emergency medical services on 000. Contamination of water supplied to your premises, whilst rare, can occur through several localised means (see Taste and Odour section). You should not taste test the drinking water. 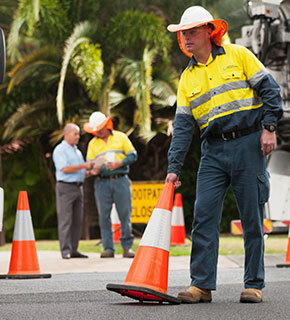 Contact our faults and emergencies team on 13 23 64 (24/7). Take a sample of the water in a clean glass or bottle. Although this sample cannot be used in laboratory analysis (for quality control reasons) it may provide important information to the assessing Water Quality Officer. A Queensland Urban Utilities officer will visit your property and take samples for analysis which will help determine the cause. Ask other members of your household and neighbours if they are experiencing similar problems.